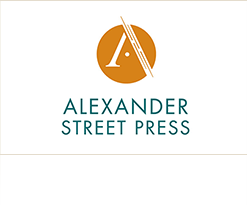 Alexander Street Press brings together the skills of traditional publishing, librarianship, and software development to create quality electronic collections. We currently offer online databases in music, counselling, history, anthropology, religion, women's studies, health sciences, literature and the performing arts. We have an exciting and growing range of multidisciplinary online video collections with new releases planned in the areas of medicine, business and the sciences. Alexander Street Press is committed to creating collections of global relevance, and partners with the local library community in order to do so. 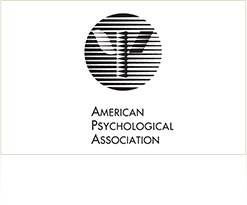 Its mission is to advance the creation, communication and application of psychological knowledge to benefit society and improve people's lives. 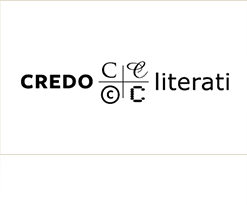 Credo, founded in 1999 in the U.K. under the name of Xrefer, has spent 12 years helping colleges, universities and public libraries successfully educate students and patrons. To assist libraries with strategic e-book acquisition, ebrary offers a number of packages under subscription and perpetual archive models that are hand selected by our on-staff librarians. These pre-packaged products can be combined with each other as well as individual titles acquired under models such as patron driven acquisition and short-term loan for the greatest value. 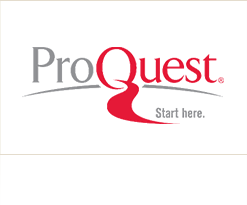 ebrary was founded in 1999 and was acquired by ProQuest in January 2011. 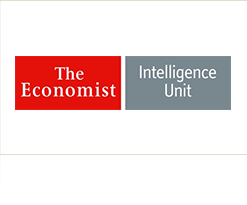 The Economist Intelligence Unit helps business leaders prepare for opportunity, empowering them to act with confidence when making strategic decisions. Success when operating internationally means understanding how tomorrow will differ from today. From such insight comes opportunity. Our forecasting and advisory services have informed entrepreneurs, financiers and government figures around the world since 1946. Our coherent and impartial assessment of the future can be depended on to deliver the insight needed to succeed in a complex and changing world. We operate in virtually every country and cover every developed and emerging market. Our understanding of local nuances brings a level of insight about individual countries and industries that you cannot find elsewhere. 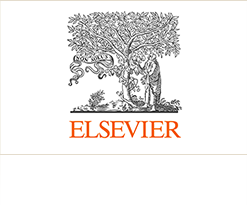 As the world’s leading provider of science and health information, Elsevier serves more than 30 million scientists, students and health and information professionals worldwide. 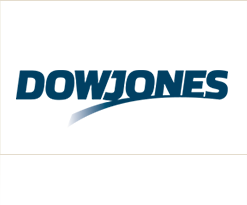 We partner with a global community of 7,000 journal editors, 70,000 editorial board members, 300,000 reviewers and 600,000 authors to help customers advance science and health by providing world-class information and innovative tools that help them make critical decisions, enhance productivity and improve outcomes. Knovel is a web-based application integrating technical information with analytical and search tools to drive innovation and deliver answers engineers can trust. Knovel users include thousands of engineers and applied scientists worldwide representing 74 of the Fortune 500 companies and more than 300 leading universities. 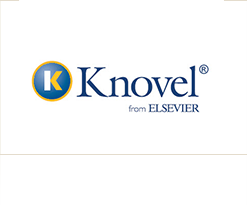 Knovel provides subscribers with access to more than 4,000 leading reference works and databases from more than 90 international publishers and professional societies through a single interface. Knovel is specifically focused on the engineering community, offering an unmatched depth and breadth of validated engineering content aggregated from the most trusted sources. Knovel’s comprehensive collection of content, covering 30 subject areas, is continually updated as new titles are available to reflect the evolving needs of users. 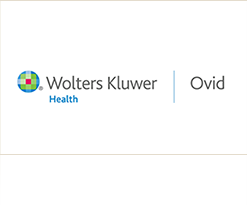 Ovid helps researchers, librarians, clinicians, and other healthcare professionals find important medical information so that they can make critical decisions to improve patient care, enhance ongoing research, and fuel new discoveries. 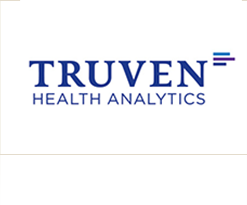 We offer a market-leading medical research platform of premium aggregated content and productivity tools that make it easy to quickly search information and make informed decisions on patient care, quality, and clinical outcomes. Every day, the world's leading medical, academic, and corporate institutions, and thousands of their users rely on Ovid for the most efficient, trusted solution that transforms research into results to help improve patient care. 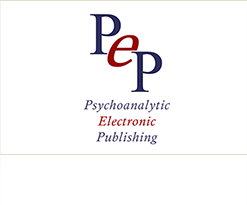 PEP is a digital archive of many of the major works of psychoanalysis. PEP Archive 1 version 11 (1871-2008), released in January 2012, contains the complete FULL TEXT of forty-six premier psychoanalytic journals, an Update of one year of the Current PEP Archive Content, complete versions of ninety six classic psychoanalytic texts and all twenty-four volumes of the Standard Edition of the Complete Psychological Works of Sigmund Freud, the German Freud Standard Edition, "Gesammelte Werke" and all the included Editorial Notes. Current Content is also available and fully searchable for the PEP Journals, but as per contracts with the publishers, is only available for reading at the abstract level. ProQuest has forged a 70-year reputation as a gateway to the world’s knowledge – from dissertations to governmental and cultural archives to news, in all its forms. Its role is essential to libraries and other organizations whose missions depend on the delivery of complete, trustworthy information. ProQuest’s massive information pool, is navigated through technological innovations that enable users to quickly find just the right information. In 2009 the company launched Summon™ web-scale discovery service.In 2010 ProQuest expanded into corporate and government markets, launching the ProQuest Dialog™ service and acquiring Congressional Information Services and University Publications of America. 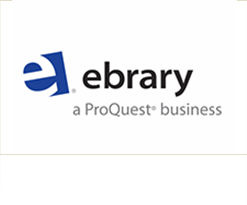 ProQuest acquired ebrary in 2011 and Ebook Library (EBL) in 2013. Serials Solutions®, RefWorks-COS™, and Bowker® are other ProQuest units. When it comes to chemical safety, nothing is more important than having current and accurate Environment, Health, and Safety (EHS) knowledge and documentation. 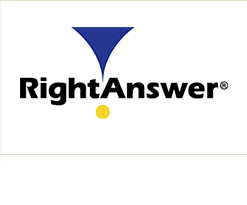 RightAnswer.com provides the solutions you need. Chemical manufacturers and distributors, plant personnel, first responders, and research and educational institutions trust RightAnswer.com to give them the competitive advantage of having the right knowledge and the right documents in the right place at the right time. As an industry leader in Internet-based Software-as-a-Service, we deliver reliable data solutions and cost-effective document support for your Environment, Health, and Safety (EHS) requirements. Stringent steps are followed to ensure the usability and quality of our products. We continuously analyze our processes, methodology, procedures and standards to ensure our customers meet their requirements. 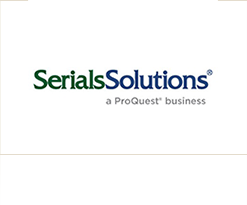 Serials Solutions®, a member of the ProQuest family of companies, is the global leader in essential discovery and e-resource management solutions, which are powered by a comprehensive knowledgebase. Founded by a librarian for librarians in 2000, our popular suite of Software as a Service (SaaS) solutions helps improve access to and use of collections, eases librarian workloads and ultimately reduces operating costs. Over the years we have adapted our technologies to address the growing needs of our customers and their users. Our services are designed using consistent software architecture and developed from the ground up to work together. Through our Software as a Service (SaaS) technology model and unsurpassed customer care, Serials Solutions provides fast implementation, easy customization and outstanding value to its client libraries. UpToDate® is an evidence-based knowledge system authored by physicians to help clinicians make the right decisions at the point of care. All UpToDate content is written and edited by a global community of physicians, world-renowned experts in their specialties. Supported by a staff of in-house physician editors, these authors follow a rigorous editorial process, continually reviewing the content to ensure it is of the highest quality and based on the latest evidence. 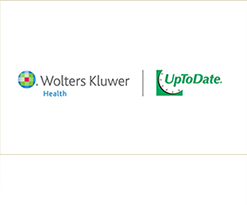 UpToDate is part of Wolters Kluwer Health, a leading provider of information and business intelligence for students, professionals, and institutions in medicine, nursing, allied health and pharmacy.